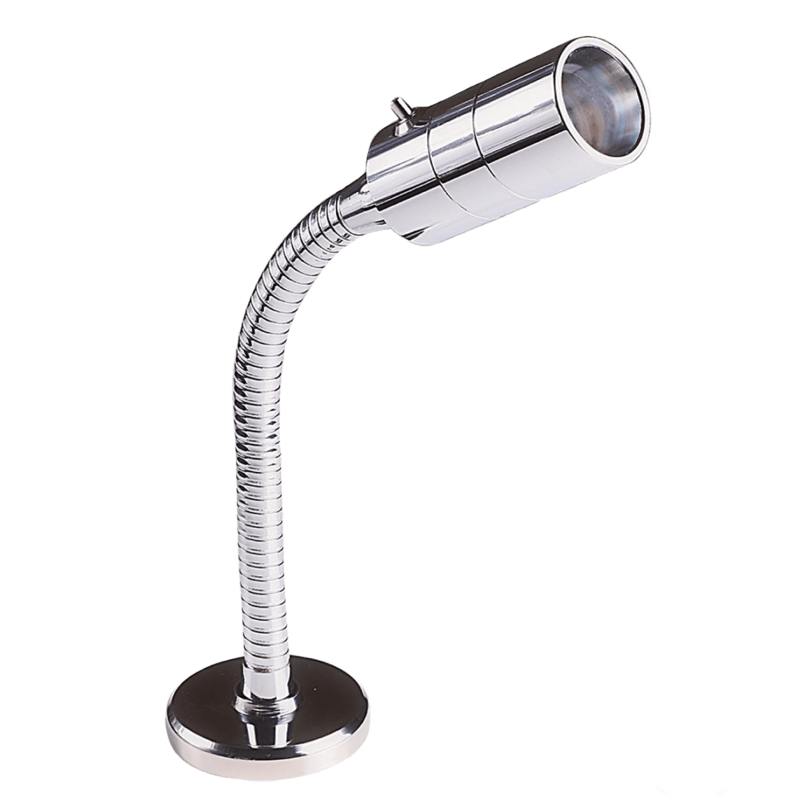 Flex neck is a chrome plated brass and steel assembly. Fixing method: Under surface fixing ring mounted with three M4 counter sunk screws on a 44mm PCD. The light is then screwed into the mount.